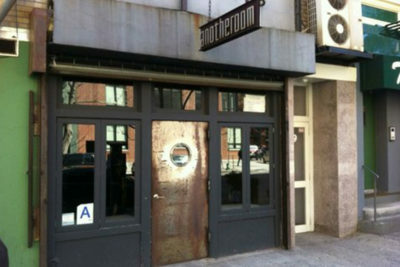 Anotheroom is a Tribeca-area offshoot of Craig Weiss’ line of beer and wine bars that include The Room in SoHo and The Otheroom in the West Village. The dimly-lit space serves as the perfect place for a glass of boutique wine or handcrafted beer, or any one of the selections on the handpicked menu. Raw steel décor by local artisans and rotating exhibits by unrepresented artists add to an aesthetic that will impress any and all who slip in for a quiet rendezvous.